Native to Mexico and Guatemala, the dahlia flower exists in wide variety – there are at least 36 species! Favored for their vibrant colors, dahlias can be bi colored, variegated, or blended shades of pastels or more muted dark tones. Traditional meanings attached to this flower include elegance, dignity, and an eternal bond between two people. Flower forms are variable, with one head per stem; these can be as small as 2 in (5.1 cm) diameter or up to 1 ft (30 cm) (“dinner plate”) […] The stems are leafy, ranging in height from as low as 12 in (30 cm) to more than 6–8 ft (1.8–2.4 m). The majority of species do not produce scented flowers or cultivars. Like most plants that do not attract pollinating insects through scent, they are brightly colored, displaying most hues, with the exception of blue. TheGenus Dahliais native of Mesoamerica, principally in the high plains of Mexico also some species can be found in Guatemala, Honduras, Nicaragua, El Salvador & Costa Rica (Probably introduced by the Toltecs or their ancestors) as well as parts of South America were it was introduced and at present there are 35 recognised species in existence. Botanically the Genus Dahlia belongs to the familyCompositae(Asteraceae), tribe Heliantheae, and was given the Genus name “GEORGINA” in error in 1803, a name by which it is still known in many eastern parts of Europe. Dahlias are a summer flower, most easily available between June and September. Dahlias do not come in black or blue. Burgundy is the darkest shade available and can look almost black. 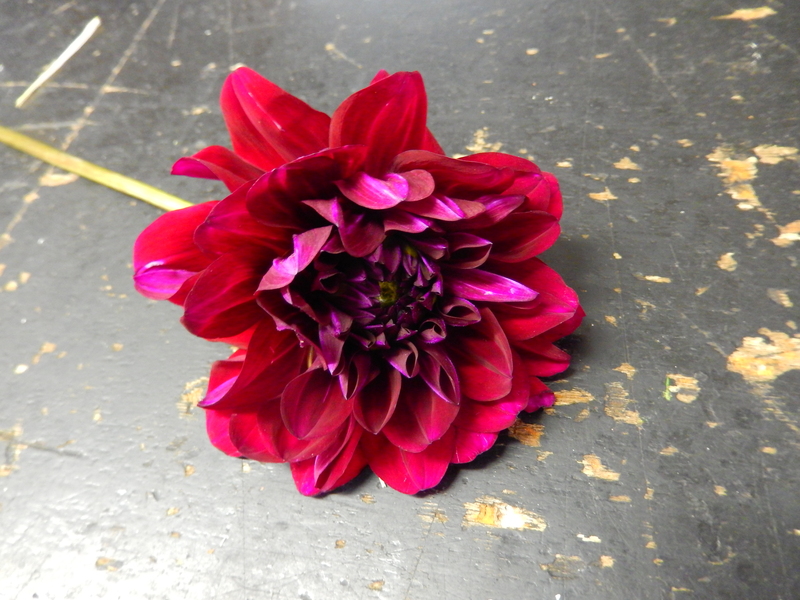 Dahlias can be used for dyeing. the flower heads produce mordants that fix color to textiles.